Those are the pitfalls that plague far too many young men of color in America, according to the White House. In order to steer young men away from that fate, President Obama has started the My Brother’s Keeper initiative, a federal effort to call special attention to the plight of young black and Latino men, while developing best practices to keep them on track to fulfilling their potential. As is, young black men make up 6 percent of the U.S. population, but 43 percent of its homicide victims. 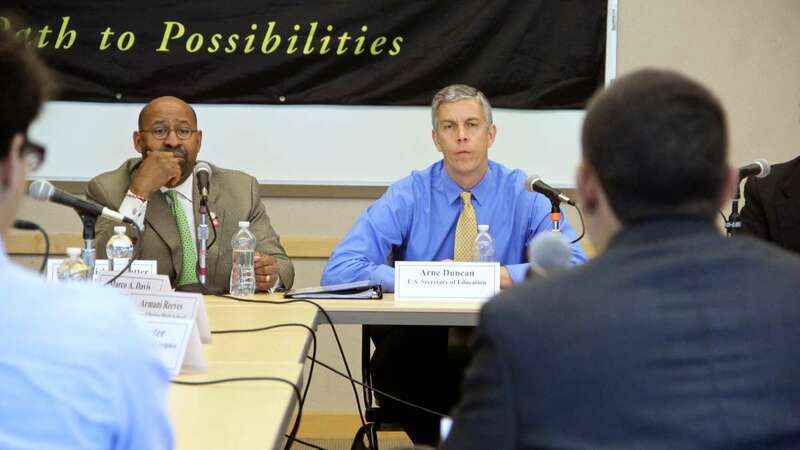 As part of the effort to alter that trend, U.S. Department of Education Secretary Arne Duncan hosted a roundtable discussion Friday at Philadelphia Community College. 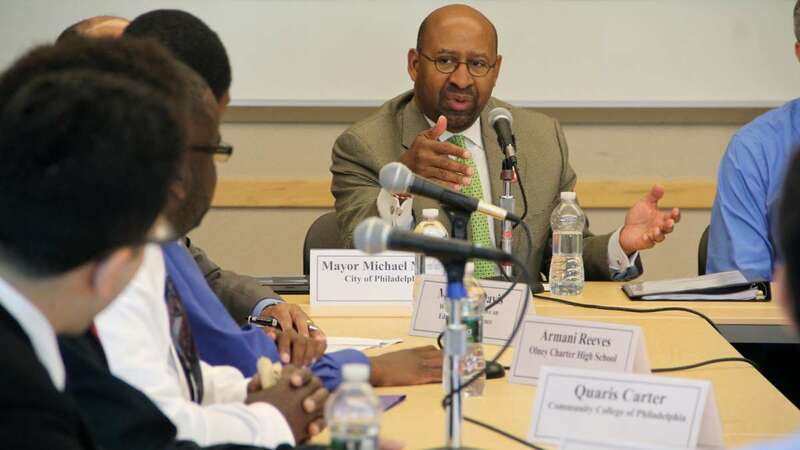 He joined Mayor Michael Nutter and about a dozen young Philadelphians of color who have overcome significant obstacles. “The real question is how do we make your kind of success the norm, not the exception?” Duncan said. In addition to stressing the importance of extracurricular activities and arts programs, all the young men articulated the overarching importance of establishing relationships with adults who care about them. Many grew up without fathers or in neighborhoods where options were few and expectations low. The most important thing to break that cycle, they said, was finding a teacher or other mentor who would take the time to really get to know them. That took a while for Quaris Carter. 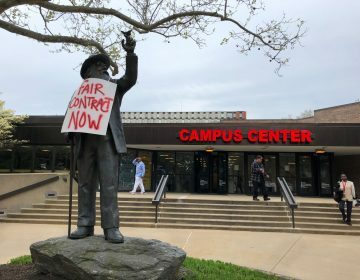 After years of drug use and two felony incarcerations, he found finally found guidance in a teacher at Philadelphia Community College. Now attending La Salle University, he can still vividly remember his old mindset. “I’m going to either go to school and do the best I can and talk to an instructor or teacher and tell them what’s really going on with me — or I’m going to go shoot this heroin in my arm or I’m going to go smoke some wet,” he said. For Carter, the path to change began when he read Nelson Mandela’s “A Long Walk to Freedom” while sitting in jail. “I just didn’t want to die in poverty,” he said. 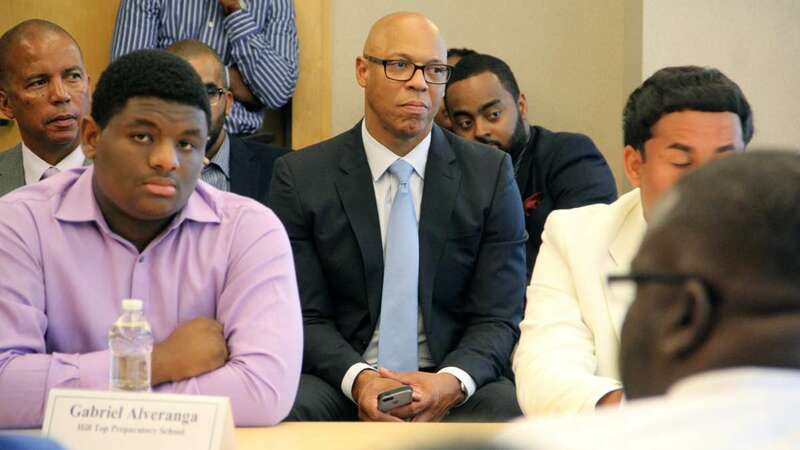 Many of the other students at the roundtable echoed Carter’s narrative. 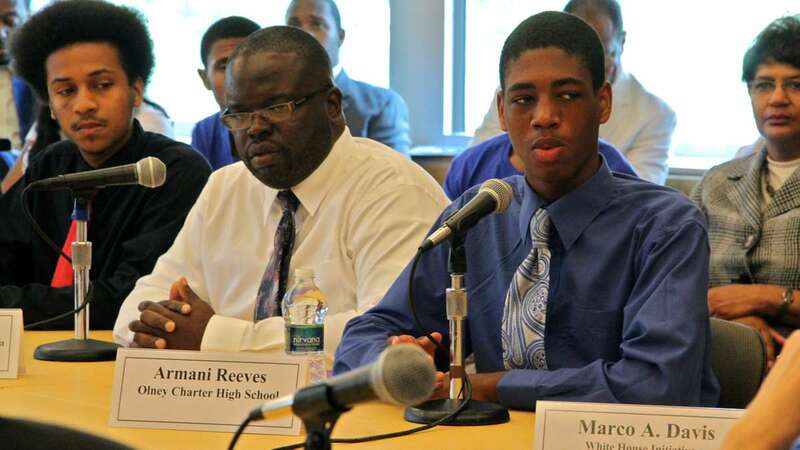 Derrick Brockington, who’s going into his senior year at Mastery’s Shoemaker campus, said it’s hard for many of his North Philly peers to have the patience to think long term. The appeal of making fast money selling drugs is too real and tactile an option. Brockington’s older brother was murdered in November. Ricardo Rosario – born and raised in Kensington – has been defying expectations all his life. Rosario will graduate with an associate’s degree in accounting in December. He hopes to move on to Bloomsburg or Kutztown University. Drug dealers in his neighborhood, who used to see him “fighting in the street or doing God knows what,” still doubt him. Nutter took special care to encourage his ascent. 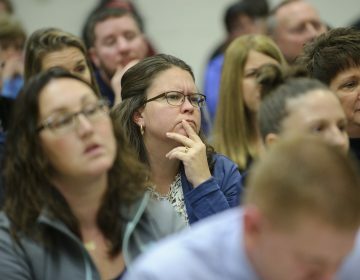 The frustrating part of the conversation for everyone in the room was the Philadelphia School District’s ongoing budget crisis. Nutter bluntly acknowledged that the lack of resources in schools makes the prospect of students forming these all-important relationships nearly impossible. 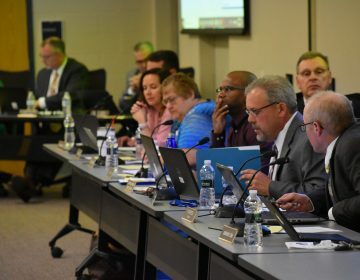 School district leaders “have to make choices among bad options each and every day,” he said. Nutter referenced the well-publicized woes at Bartram High School, where – like at most district schools – the staff was drastically reduced last year. Bartram went from 166 staffers to 97. The school now has just two guidance counselors and one nurse for 1,100 students. Nutter decried the wild per-pupil funding fluctuations that occur from district to district, citing the landmark Brown v. Board of Education case that deemed “separate but equal” unconstitutional. 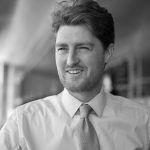 “Separate but underfunded is wrong as well,” said Nutter. In a press conference with reporters afterwards, Duncan blasted Pennsylvania’s state government. Philly school situation among most dire in U.S. Taking the national view, Duncan said Philadelphia’s school system is currently suffering as much or more than any. “There are other places struggling, but I don’t know if there’s a place that’s struggling more or has more unmet need than right here in Philly,” Duncan said. 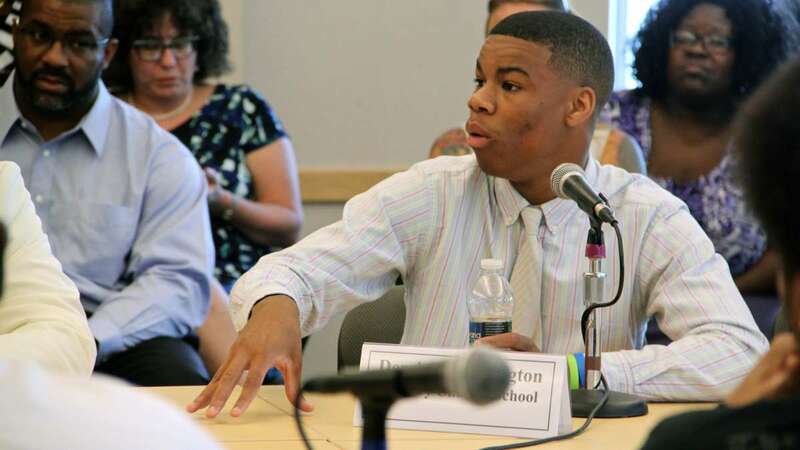 During the roundtable, Amari Reeves, a student at the Aspira-run Olney High, pressed Duncan on whether federal funding for K-12 education should be higher. “I wish we could fund a lot more than we have dollars available,” said Duncan. Despite his criticism of the state, when asked by reporters about additional federal funding, Duncan reiterated a point often made by Gov. Tom Corbett’s administration. In addition to increasing mentorship opportunities, Duncan said he hopes the My Brother’s Keeper initiative can spur positive action on the education front in two other areas. Zero-tolerance school discipline policies must be curtailed, he said. Although the school district has officially moved to a “‘restorative practices” discipline model, zero-tolerance still exists in some corners. 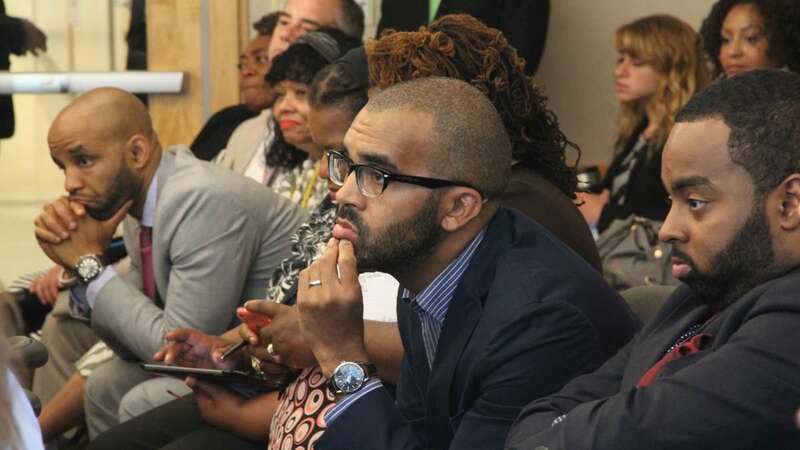 Olney High’s Reeves said students are frequently suspended by Aspira for uniform violations. Duncan also emphasized the need to raise student awareness of the facts surrounding federal financial assistance for higher education. The federal government gives out $150 billion each year in grants and loans for higher education, he said. “There are grants and loans out there in very significant numbers and resources that we have to make sure people are aware,” he said.